PARTNER NEWS: Digital security company Gemalto is supplying wristbands carrying an embedded Optelio Contactless Minitag and a fitness tracker across the transportation network in Wuhan — one of the most populous cities in central China — to enable commuters to ride on buses and the metro with a wave of their hand. 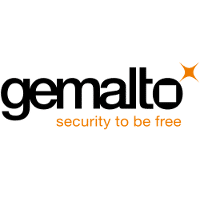 Gemalto, the world leader in digital security, is supplying wristbands embedded with its Optelio Contactless Chip​ for NFC transport in Wuhan, China. The capital of Hubei province, Wuhan is one of the most p​opulous city in central China with a population of over 11 million. For this pilot, Gemalto will preload these wristbands with the transit application, allowing users to ride buses and metro with a simple wave of their hand. It will also integrate a fitness tracker, enabling consumers to keep an eye on their day-to-day activities such as steps taken, distance covered, and sleep pattern. Consumers can perform balance check and account top-up through a smartphone application. Wuhan is a major transportation hub in China. To ensure a smooth flow of commuters, the transit system is rapidly moving towards contactless, with more than 13 million such cards already in use. This simple and secure wristband, which can be enhanced to include payment and other value-added services in the future, will offer consumers an easier and faster way to travel, leading to increased user satisfaction, operator efficiency and regional growth. Gemalto has been providing contactless transport cards to Wuhan for more than three years. The new wristbands are an extension of these advanced cards. Customized at pre-personalization level, they meet the city and local infrastructure’s requirements, and offer banking-grade ​security.